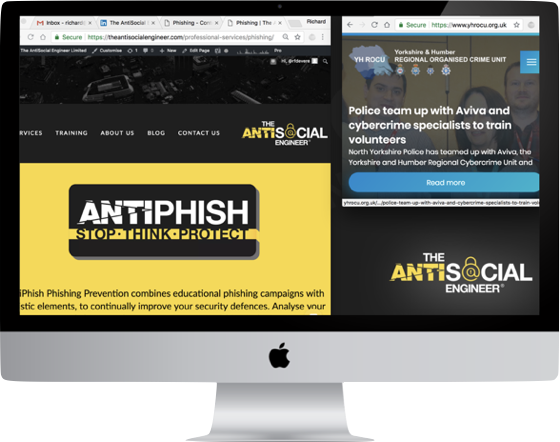 AntiPhish Phishing Prevention combines educational phishing campaigns with realistic elements, to continually improve your security defences. 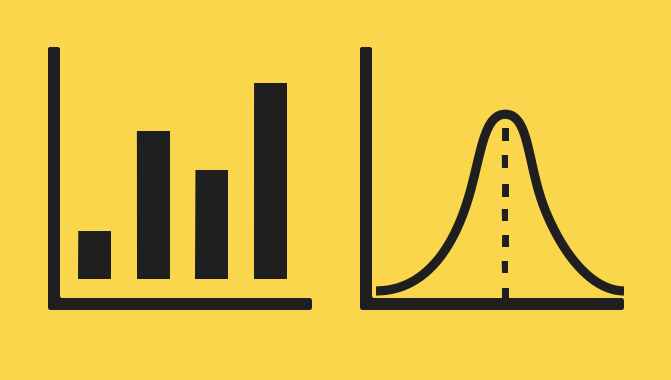 Analyse your organisations click rate and compromise statistics. Effectively monitor the reduction in employee phishing susceptibility with regular simulated phishing campaigns. 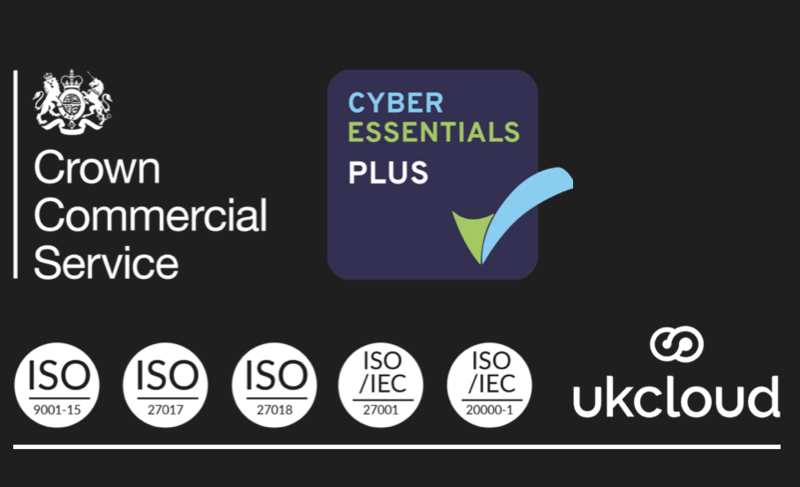 Government grade data centres, face to face data transfer, ISO27001 & ISO9001 certifications from data facilities, staff certified to BS7858 and extensive information security experience combines to allow us to deliver realistic phishing emails securely. We can show you useable statistics that demonstrate improvement within your organisation. We capture more than others and can present you with everything from raw data to live interactive charts. All of your campaign data and interactions will be included in a comprehensive report. 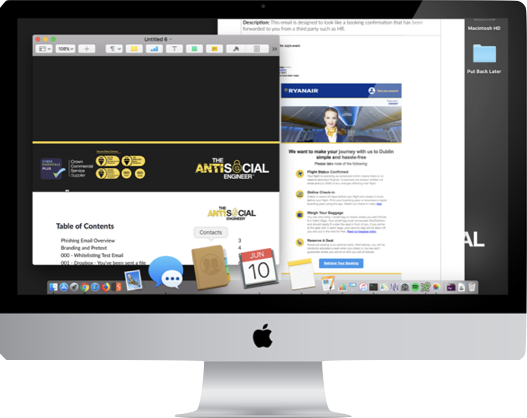 Our emails are delivered using bespoke HTML that is designed to always look right, they are hyper realistic and adaptive. We are social engineers - phishing emails are our thing! We have successfully improved the security of government departments and businesses alike by using a perfect blend of realism that leads in to employee awareness. We can provide technical advice to IT teams and educational follow on advice to all employees. 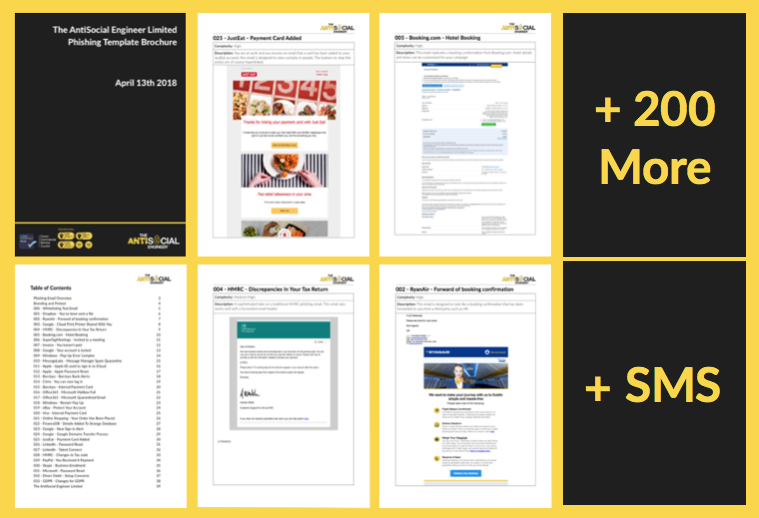 We have some bold claims, what better way to test us than by letting us show you how we do things with a subsection of your staff tested for free. This isn't a reduced quality service, we just test a certain proportion of your staff. There is no obligation to buy at a later date, we know return custom makes up the majority of our business and we are happy to showcase what we do. Legals and Client Data Transfer. When a new customer joins The AntiSocial Engineer Limited, we work to ensure they are getting the exact assessment their organisation requires. When we have a clear understanding of your requirements and the necessary legal documents are returned, we will then arrange for the safe transfer of files between our organisations. We always prioritise your data handling requirements and guide you through data classification and transit concerns. We have a wide range of fully adaptive phishing emails, all of which can be customised to your organisations requirements. Our emails are delivered using bespoke HTML that is designed to always look right, they are hyper realistic and sometimes quite sneaky. We replicate current phishing risks that your organisation is likely to encounter. By testing your employees with cutting edge attacks, you can help raise awareness, promote education and defend your organisation. We get our emails to you! First time and without confusion – We have experience with large scale email delivery and can provide whitelisting guidance at every step of the process. Users can be guided to educational landing pages and followed up with ongoing staff awareness to improve phishing defences within your organisation. To The Inbox – First Time! We have genuine knowledge of what emails are currently targeting businesses and can replicate current phishing risks you are likely to encounter. We get our emails to you! First time and without confusion – we have experience of large scale email delivery and can provide whitelisting guidance at every step of the process. After emails are sent we monitor for key pieces of information and can alert you when users click or input credentials. We can also guide users to education training pages that inform users of the assessment and help raise awareness within the business. We have been busy sharing the power of AntiPhish with our regional police force and other government organisations, read more about our pioneering case study and phishing at scale.